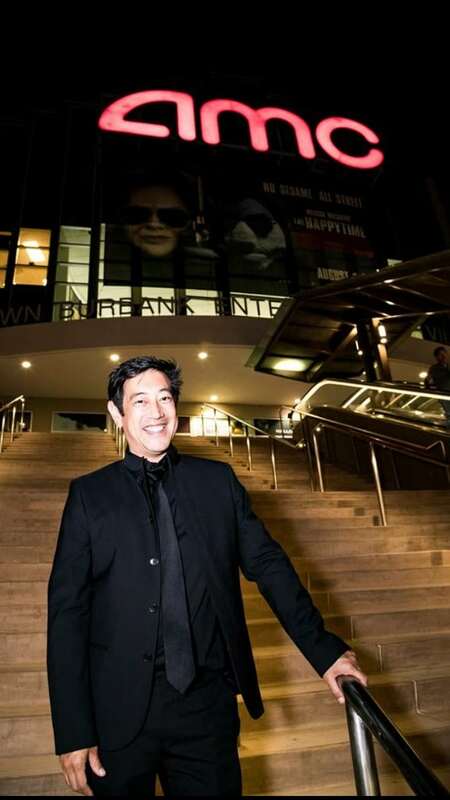 You are at:Home»Hot Topics»Day in the Life»Thank You for the “Crazy Rich Asians” Screening Grant Imahara! “The first all Asian studio film since The Joy Luck Club 25 years ago! Crazy Rich Asians is a really important movie. It’s been 25 years since a major Hollywood movie has featured an all Asian cast (Joy Luck Club). Not only that, but Crazy Rich Asians features an Asian romantic lead, which is unprecedented. Almost 100 of us showed up in our crazy rich best (despite the heat!). And you know what? WE LOVED THE MOVIE! We laughed, we cried—it was the best romantic comedy I can remember in a long long time! The writing, acting, story, design was all fantastic!. And this is a movie about the spectacular! It will leave you agog! It was just terrific all around. As a child in Vancouver I had the unique experience to be one of the only white kids in my class. While I can’t presume to know what it is like to be a minority, that experience really shaped me. Certainly gave me a love of Asian cuisine! I don’t want to spoil it but GO SEE CRAZY RICH ASIANS! It will appeal to you on many levels and hopefully show the world we want more diversity! And this movie was refreshing. A solid romantic comedy, that we haven’t seen in years. More please! And FYI: it did win the opening weekend. People care about the movies they are presented with and Crazy Rich Asians is proof positive. Asian or not, if you love good movies, you will fall in love with this one! Stephanie Thorpe is a veteran web content creator, serving as a producer, director, writer and actor on numerous projects—in fact, she just crossed her 100-episode milestone. Recently she and her producing partner Paula Rhodes acquired the film and television rights to the 35-year-old cult comic book "ElfQuest," which they are currently developing for the screen. Stephanie also co-created and produced "The Ladies & The Gents," a web series consisting of 60 episodes of comic vignettes. That series just launched in April and will roll out through the summer. In addition to these projects she has many other irons in the fire, some of which she can share info on ("Shelf Life" "SlumberCon") and others are coming soon! A founding member of the "League of Extraordinary Ladies," she is frequently thrilled to find herself speaking on panels at Cons throughout the year. As an actor she recently appeared in "The Ladies," "Pairings," "Night of the Zombie King," and was featured on Bonnie Burton’s program "Geek DIY." Stephanie is very excited to be a contributor to the online mag "Ms. in the Biz!" Fit in or Stand Out?